More than 10,000 journal articles, books and proceedings have been published citing the Center for contributions in particle physics, condensed matter physics, astrophysics, cosmology, biophysics, mathematics, gravitational wave physics, nonlinear dynamics and other physics–related sciences. For over 50 years physicists have been meeting in the Rockies to work through current problems in physics and to advance science. 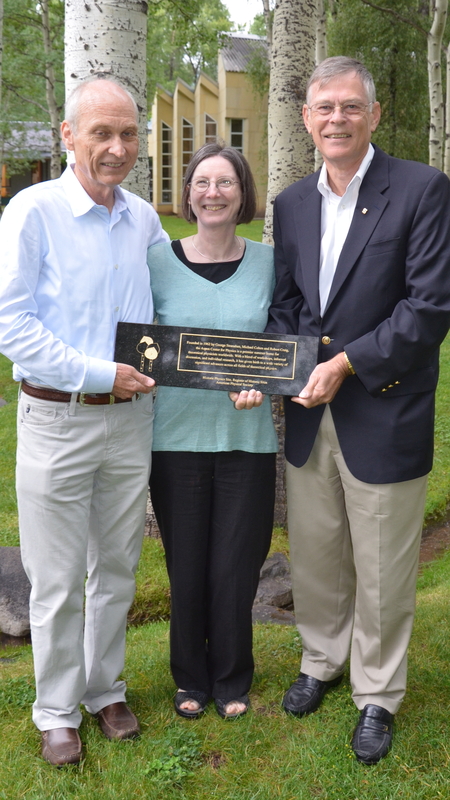 At ACP's 50th Birthday Celebration in July 2012, Robert Byer (right), 2012 President American Physical Society, presented an historical designation plaque to then ACP Board Chair Michael Turner and then ACP President Rosemary Wyse.